With the wide range of career paths available to real estate professionals, each agent has a different story to tell. In this series, we bring you the stories of successful individuals who’ve taken their real estate careers in various directions. We sat down with each of them to talk about how they got started in the industry and the twists and turns they’ve taken along the way. Read on to learn about Patrick Ryan, and his best advice for new agents who are looking to break into luxury real estate. 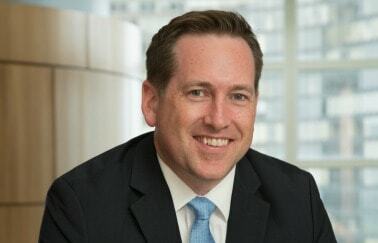 Patrick Ryan, the Senior Vice President and Managing Broker of Related Realty, a Chicago-based, full-service real estate brokerage and marketing firm specializing in luxury real estate, credits his background in sales and marketing for his ability to effectively lead a highly successful team. However, it’s his love of helping people find the perfect home that has propelled him to personal success. In his current role as VP and manager, he no longer can be consumed by his own personal goals, growth, numbers, image, and clients, and instead has to take a big-picture view and help to ensure the success of every broker on his team. Still, it’s a challenge he’s up to—and actually one he enjoys. “Every time I am able to sit down with brokers and learn about them and figure out how I can help them meet their goals is a successful day to me. I am lucky that we have amazing individuals that work for Related Realty. I’m blown away with their entrepreneurial nature. They strive to be excellent and are on the hunt for knowledge and an edge that will help their buyers and sellers. It is quite amazing.” Here is just a bit of insight from this veteran agent who is helping to guide his organization to tremendous success. Q: How/why did you decide to get into real estate services? What prompted you to make the switch from sales and marketing to real estate? A: Since my first humanities class in high school, when we discussed Bowstring Trusses and cantilevering, I have enjoyed architecture. But beyond that, brokerage to me is consulting, and I like that I get to advise and mediate on the behalf of a buyer and seller. We get to work with sellers to better position their properties through pricing, staging, marketing, and overall sales presentation so that they receive the best possible outcome (e.g., price, time to close, financing). We help to prepare them by making sure they are pre-qualified, guiding them to figure out what they really want in their next home, negotiating the best deal, and managing the process with their lender, attorney, inspector, and so on, to close their purchase and open the next chapter in their lives. I love that. Q: People often learn more from their negative experiences than their positive ones. What was your worst day on the job, and what did you learn from that experience? A: I had to let someone go on my first official day. It was tough but it reminded me that our brokerage is not about just one broker, and to be different and special we need to have standards. Luxury brands have standards, and we must stick to them to differentiate ourselves from the competition. Q: What college or continuing education courses or workshops and seminars have made the greatest impact on you as an agent, specifically ones that you feel would benefit all new agents? A: I would recommend two organizations and a designation. First, The Institute for Luxury Home Marketing (ILHM). I was certified as a Luxury Home Specialist in May of 2014, and I can say without a doubt that changed my brokerage career. I learned what the highest level of buyers and sellers look for in properties and a broker consultant. I was awarded membership in the ILHM Guild a year later and have attended their Leaders in Luxury conference for the past three years and will serve on their 2016 Advisory Board. The conference brings together top agents from around the country who share their best practices in business and in life. Second, The International Real Estate Federation (FIABCI) headquartered in Paris, France, of which I am currently the Chicago Chapter President. The organization exposes brokers to members and events around the globe. I’ve attended the Asia/Pacific Conference in Waikiki, toured the U.S. State Department in Washington, D.C. and attended the National Brokers Conference in Beijing, China. I would not have known or been connected to any of that without being a member of FIABCI. Lastly, I recommend going after the Certified Residential Specialist (CRS) designation. You become a CRS by taking classes and by achieving a certain volume of sales, and it truly sets you apart from the pack. Only 3% of all brokers have achieved the designation, so buyers and sellers know when they work with a CRS, they are working with the best. Q: What do you do to ensure that you are staying on top of real estate trends? A: (Chuckle … remembering an answer given in politics … ‘I read stuff’.) No, really. I read Bisnow, Curbed, DNAinfo, CRS magazine, and others. I also attend Leaders in Luxury every year and Inman Connect and FIABCI events. In addition, I have a network of managing brokers in other states, and a few here in Chicago, that I communicate with. Q: What is the one tool (e.g., app, gadget, resource) that you can’t live without? Why? A: A notebook and pen. Really. I still enjoy writing things down, and I believe that it engages a part of my brain that enables me to remember information better. And truly, there should be no gadget or app you can’t live without. Q: How is the luxury real estate market different than other markets? What advice can you offer agents who want to move into luxury real estate? Where should they start? A: Brokers always say ‘I want to be in the luxury market,’ as if it is some mysterious thing. I guess the difference is the level of knowledge and professionalism. I believe you get there by taking every deal seriously and seeing it as an opportunity to perfect your craft. Do it to the best of your capability, and don’t take any step for granted. The best in this business view every activity as a function of their business. We are a walking, talking corporation unto ourselves. We are a marketer, salesperson, accountant, promoter, mediator, and teacher all in one. I recommend that new agents obtain more knowledge, starting by seeking out individuals who have luxury real estate knowledge. At Related Realty, we look at other industries and work to take from them best practices. An example is the medical field. Doctors and nurses attend conferences, write papers, collaborate with their peers, and are on a constant hunt to learn more so they can be better caregivers. Mirror that mentality. Travel to a conference … and I stress travel. Leave your city or state because brokers close to home—your competition—aren’t going to share their knowledge and secrets with you. Q: What are some key mistakes real estate brokers/agents make, that don’t get talked about? A: Most don’t view business from their client’s perspective. Remember that home-buying is a serious life-changing event for buyers and sellers. Moving by itself is not the most fun, and it is massively disruptive. When you include the search or showing and lending processes, it becomes chaotic. You can’t see it as just a “deal.” It is a monumental event for your clients, and you are representing them in presentation and negotiation. Take it seriously. Be presentable. Attain knowledge. Q: If you could offer a brand-new agent one piece of advice, what would it be? A: Have patience, be organized, and build a foundation. In the beginning, it typically takes one to two years to see the fruits of your labor. Deals take two to three months to put together, so every action you take today is very important to your success in the future. Don’t waste your opportunities. Ready to launch your real estate career? Real Estate Express has helped more than 200,000 real estate professionals master their real estate careers—from licensing to continuing education and onward. Get licensed in your state. Interested in breaking into the luxury real estate market? Visit The Institute for Luxury Home Marketing to learn more about events, membership, luxury real estate training, Certified Luxury Home Market Specialist (CLHMS) designation, and more.